First aid kit: Figure 1 is a new app being called Instagram for doctors, making it easy to share photos with colleagues to compare notes on patients. It has privacy guards built in. And apparently, pictures of teal urine. 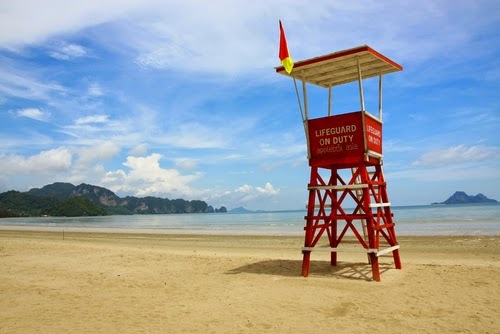 Lifeguard station: I'm a member of Freelancers Union, which has just figured out how to offer a platform of all kinds of insurance for its freelancer members, nationwide in the U.S. Pretty breathtaking. The founder is a MacArthur Foundation "genius," and I agree with that assessment. Please share with freelancers you know/love/hire. In too deep: You're not alone out there: A new study suggests that 90 percent of content marketers lack confidence in the data about their efforts. Hand me those binoculars: The U.S. Supreme Court decided against Aereo, which grabs TV signals with lots of little antennas for its customers. Here's why that's bad for traditional TV networks as well as Aereo. How deep is the ocean? The Library of Congress has long been a thoughtful user of social media, rolling out Flickr, blog, Facebook and Twitter accounts with care and verve. Now it's putting gems of the collection on Pinterest. I'm partial to the just-getting-started board of baseball memorabilia. Blue Hawaii: When you're choosing colors for your marketing materials, you should be thinking about which colors prompt action, and which pair well. A video with advice is at the link. And you hire them as lifeguards: If you actually trust anyone under 30, heed this new Forrester research noting that teens say they are using Facebook more than they used to. More beachfront property: Google's getting into domains. Lifesaver: Steve Buttry's got 20 tips for live coverage of events. You don't have to be a journalist to use this. Let's go further out: Twitter is reportedly testing a "retweet with comment" option that would let you RT the full original AND still have 140 characters with which to opine. Don't throw them a life preserver. Bored. Walk: Gallup has found that most consumers are not, in fact, influenced by your social media. Don't sit with your back to the ocean view: Google announced this week that you can now edit Microsoft Office files in Google Docs, which makes the latter more viable as a full-service office suite. Dive into the offerings coming up at the October European Speechwriter Network conference in Amsterdam--including my workshop on women and public speaking. Then get to your beach reading. I'm so glad the weekend read is a stop on your way.